It is factually true that this has been a good year for the cutting garden. Also a good year to make this bright quilt. This may be one of my favorites! Beautiful colors. So inspiring. I may have named it Watermelon Summer. Oh, my! I think this is my favorite of all - beautiful colors! It's so sunshiny! I love it! Oh, I love the colors in this! 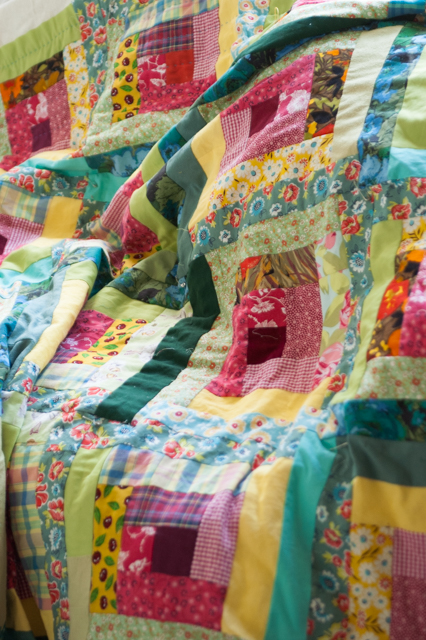 I love this quilt, the colours are so vibrant! Is it a log cabin quilt? Gorgeous quilt top. Your productivity continues to amaze me.